A 2-person pedal car is a cool and unique way to get some exercise. It is large enough for 2 adults but can also fit kids. This device is a great tool for getting exercise or around in style! 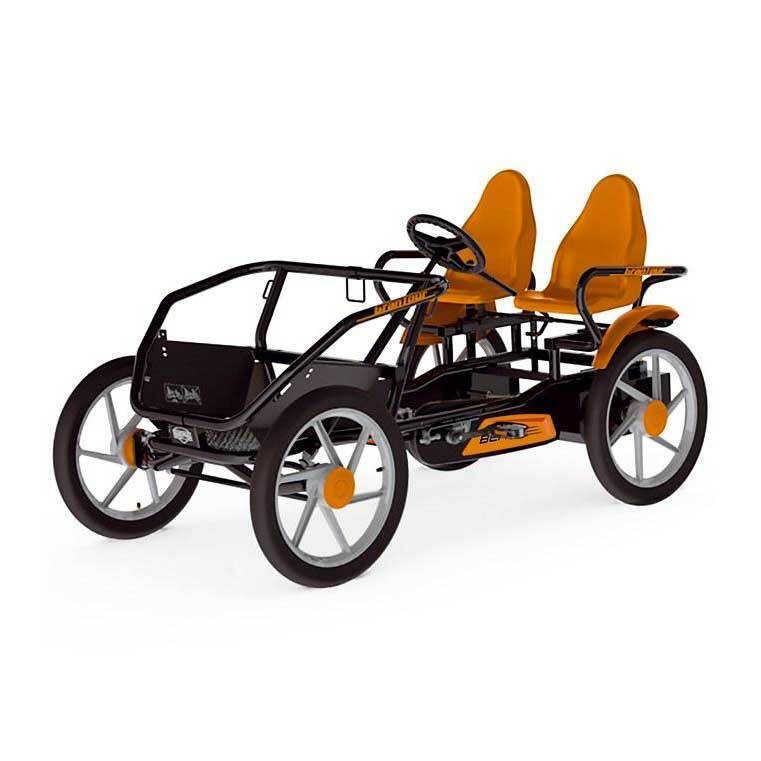 A two person pedal car is a great to for getting around on roads or dirt roads/paths. The company that makes the carts builds them with expect craftsmanship, so they can be easily assembled. The automatic free wheel system allows the occupants to drive forward or backward. The wheels move independently of the pedals, making it a lot safer on steep terrain. It also has a parking break and standard breaks on the back wheels. The wheels measure 58 inches across, allowing the cart to navigate on rough terrain. My uncle had one of these when I was younger. He lived in a subdivision that had a concrete path around that was about a mile. We all fought to get on the cart and had a ton of fun cursing around. A lot of people commented on it and asked us where we got it. Along with being cool its also a great form of exercise. Product dimensions = 197 cm long (77.6 inches) by 115 cm wide (45.3 inches) by 107 cm tall (42.1 inches). If there is anything you want to know about the cart feel free to ask us in the comments!